The government has already offered to give the families of the disappeared “Certificates of Absence” so that they could get some compensation. 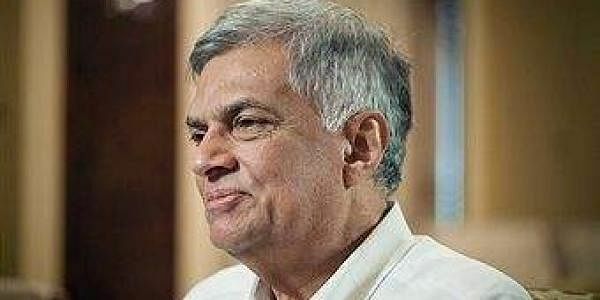 COLOMBO: Sri Lankan prime minister Ranil Wickremesinghe told parliament that as per police records, there is no information relating to persons who had allegedly disappeared during the ethnic conflict. However, they may have left the country illegally through unconventional channels, he added. Wickremesinghe was replying to a question raised by Anura Kumara Dissanayake, leader of the Janatha Vimukthi Peramuna (JVP) in parliament on Wednesday. The PM’s statement assumes importance in the context of a “fast unto death” in Vavuniya by the kins of some Tamils who had allegedly disappeared during the conflict, some after having surrendered to the Security Forces at the end of the war. As per a promise to the UN Human Rights Council (UNHRC) in September 2015, the government decided to set up an Office of Missing Persons (OMP), but due to objections in regard to some clauses in the act, the actual setting up of the OMP has been delayed, the Prime Minister said. Necessary changes would be made and presented to parliament soon, he assured. The government has already offered to give the families of the disappeared “Certificates of Absence” so that they could get some compensation. But this has been rejected by the families who insist that government must investigate and tell them where their disappeared relations are and whether they are dead or alive. Meanwhile, cabinet spokesman Rajitha Senaratne categorically stated that it is neither possible to trace the missing nor can the government consider them dead and give the next of kin their death certificates. He cited the case of a lady, reportedly missing from 1988, returning home this year. “What would have happened if we had given a death certificate in her case?” Senaratne asked. When Mahinda Rajapaksa was president, he too said that many of the disappeared could be living abroad (mostly in the West) as refugees, and regretted that the governments in these countries were not cooperating in tracing them. The problem of the disappeared is not restricted to the minority Tamils. Sinhalese too had disappeared mysteriously during the 1971 and 1988 insurgencies in the South and during the nine-year presidency of Mahinda Rajapaksa. During the country’s civil war, both the Government and the Tamil Tiger rebels were accused of killing and abducting critics. Dozens of journalists, both Tamil and Sinhalese, had disappeared during Rajapaksa’s presidency. Some were killed or had fled the country, reports Krishan Francis of Associated Press. Two years into Sirisena’s presidency, there is little sign that the suspects, mostly military soldiers, will be punished, he notes. The reference was to the former president and his brother and powerful defence secretary Gotabhaya Rajapaksa. Sandya said that investigators told her that her husband was probably dead. They had found that he had been taken by his abductors to an Army camp and the last available information is that he was transported to the east coast. “We can live in hope that he is alive; at the same time we can’t be hopeful because the CID (Criminal Investigations Department) says that he is no more,” she said. The Sirisena Government initially brought hope for justice, but its recent steps have dented her confidence, she pointed out. One reason, she said, was a speech by Sirisena in which he criticised police for holding the soldiers suspected in Prageeth’s abduction longer than necessary. Days after the speech, a Court released the suspects on bail and the military promptly reinstated them to their earlier positions, which Sandya said was a clear message that the suspects have the State’s backing. “Clearly the manner of the president today is not what we saw when we brought him into power in 2015. He has a totally different attitude,” Sandya said. But Sirisena has said his speech was not meant to influence the Court.